We didn’t think we would be able to squeeze in some vacation time early in the year because we still had to finish one subject for our certificate course. But as fate would have it, winter electives were only offered online, which meant that we only needed internet connection to attend our classes, take quizzes and turn in homework. The downside of taking classes on the road was that our limited vacation time became more constrained, thus sacrificing some time which could have been spent either meeting up with more friends or exploring more places. No matter, the most important thing is that we were with my immediate family whom I haven’t seen for the last two years. I was extremely ecstatic to be with my mama, brother, sister, and niece and do a little bit of local traveling with them. As a lawful permanent resident, I did not encounter any delays and difficulties related to my immigrant status and nationality. I am very grateful that I didn’t experience any hassle coming back to the US even though the trip to LAX took place during the first Trump Muslim travel ban. 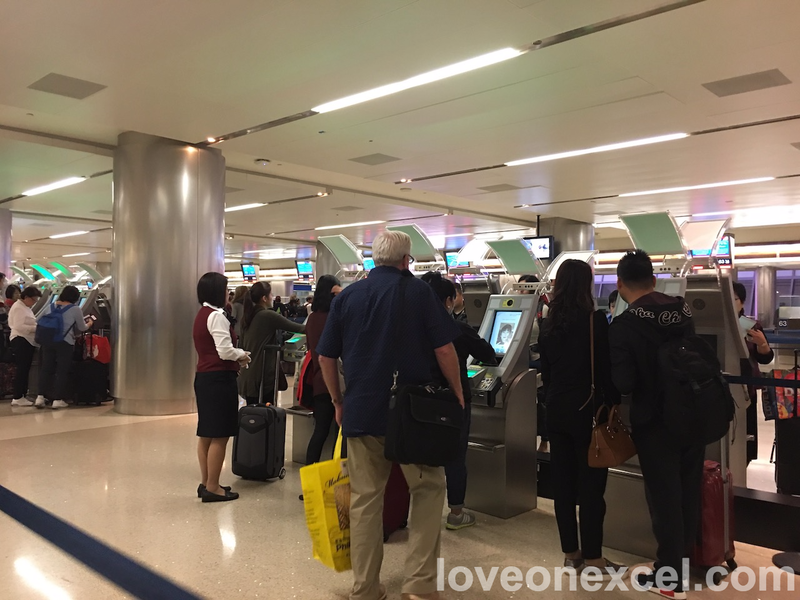 LAX is one of the US airports equipped with Automated Passport Control (APC) kiosks. If you’re a green card holder and are planning to visit your home country or are planning to travel outside the United States, below are the documents that you need when you leave and return back to the US. When traveling, the passport is the first document on the checklist because it validates a traveler’s identity and country of citizenship. Airlines and airport authorities usually prefer a passport that doesn’t expire in the next six months to consider it valid for travel. You will need your valid green card or permanent resident card to come back to the US. With a green card, you can even use the Automated Passport Control (APC) kiosk to aid the processing of your re-entry. 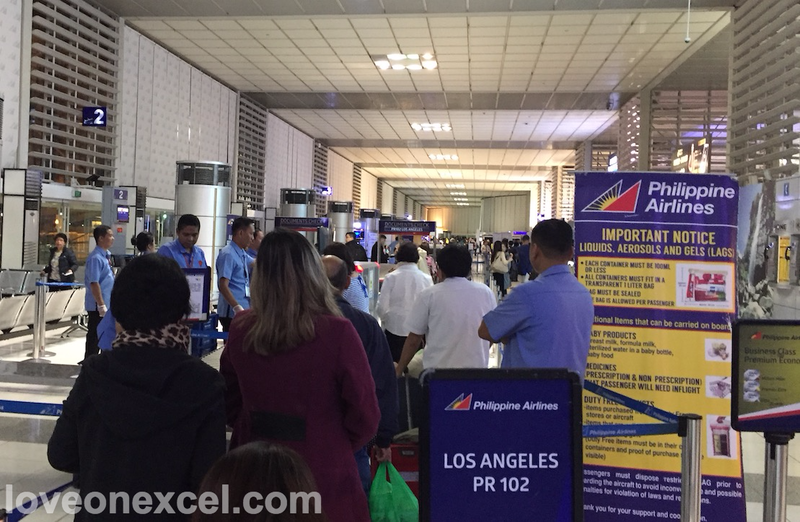 Based on our recent travel to the Philippines, travel documents go through more layers of scrutiny at the Manila airport than at the Los Angeles airport. My travel documents were checked three times at the NAIA II before I was allowed to enter the pre-departure area. The third and last document and security check at the NAIA II. My two-year residency expired last December 2016, which meant that my green card was also expired. 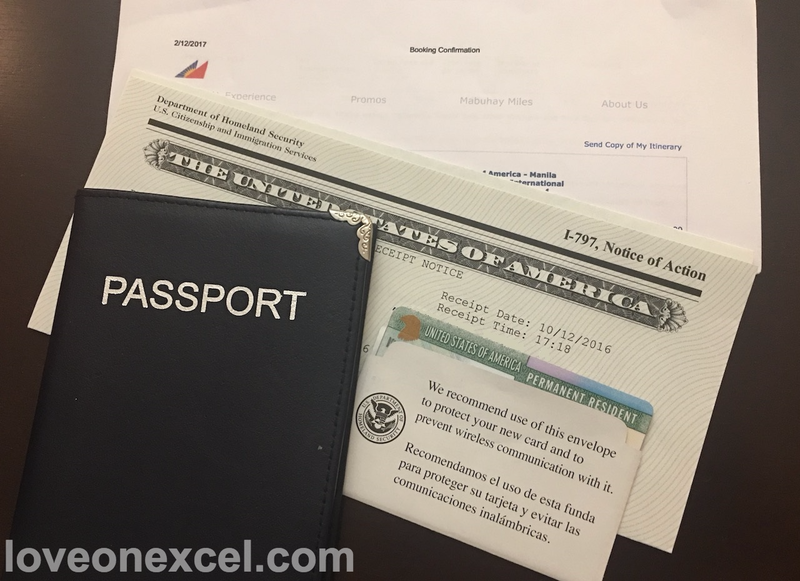 Since we filed the I-751 Petition ninety days before its expiration, I carried with me the letter of extension, or I-797, Notice of Action, which authorizes my employment and travel until I get my new green card. US passport holders do not usually need to apply for visas to go to different countries because they are issued a visa upon arrival. For Philippine passport holders however, a visa is usually required in advance when traveling to most countries except when the destination is in one of the Southeast Asian countries. Tip: Filipino citizens usually need to pay travel tax (PhP 1,620 or $33 as of 2017) when traveling out of the Philippines. But US green card holders can get exemptions to this tax via certificates issued by the Department of Tourism (DOT). You can apply for exemption at the DOT Building at TM Kalaw Street in Ermita, Manila but if you head to the NAIA terminal early, you can also get this at the DOT desk at the airport, located adjacent to the check-in counters.